After a night of freebie MMA action, UFC president Dana White awarded Shane Roller and Brian Bowles each an additional $40,000 for their special performances Thursday night at “UFC on Versus 3: Sanchez vs. Kampmann.” However, White gave Diego Sanchez and Martin Kampmann an extra $60,000 for their thrilling shootout. As expected, the card’s featured fighters took home Fight of the Night honors. 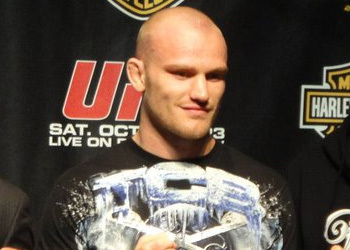 Although their welterweight shootout was marred in controversy, Sanchez and Kampmann were rewarded handsomely for their efforts. Bowles bounced back from his title loss to Dominick Cruz last March by submitting Damacio Page. The tapout scored the former champion the extra $60k commission. Roller took home Knockout of the Night with his vicious 2ndRound KO of Thiago Tavares. “UFC on Versus 3: Sanchez vs. Kampmann” took place inside KFC Yum! Center in Louisville, Kentucky.